It was hot and humid outside. The rain is so scanty in Bangkok. It is nothing comparable to Burmese rain forest. The cloudy sky made the weather hotter and more humid. Eighty degrees Fahrenheit plus 85 % relative humidity is something not pleasant to bear. Nevertheless, it was very nice and cool inside Bangkok Christ Church. Leaving a nice air-conditioned building, Steven, Mar Naw and I went to rent a car at Lumpinee Car Rent Center Co., Ltd. at 167/4 Wireless Road, Bangkok. Steven and Mar Naw were students from Burma, studying at St. Johns University in Bangkok. A tall, thin Stephen with a nice smile, was the best in Thai among us. After showing us around which car we could have, we needed to sign a rental agreement. Steven showed the office girl his passport. As soon as she saw the passport, she said we needed a Thai citizen's help to rent the car. She didn't say it at first even though she knew that we were foreigners. Only after she saw his Burmese passport, she changed all of a sudden. 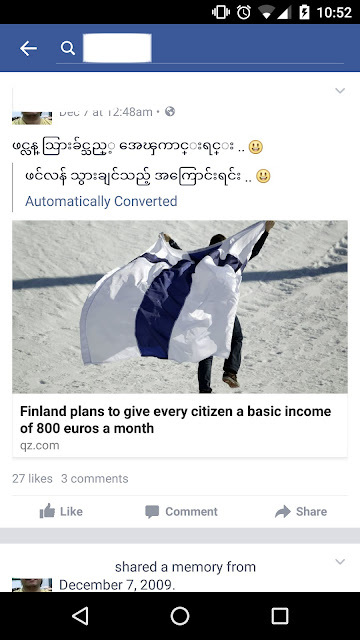 Maybe they had a double standard for Burmese. Steven called his Thai friend for help. Unfortunately, he was out of town. He couldn't come to help us. Burmese people have faced all kinds of discriminations and prejudice here in Thailand. However, many migrant workers, who crossed the border illegally, still want to live and work here. They are making more money and they have more freedom here, not being harassed by village authorities in Burma. However, they were still harassed and extorted money by the Thai police occasionally. When being asked by strangers, they are either too afraid to say they are Burmese or they are ashamed to do so. I truly understand why. I hope our country's human rights situations and economy will improve so people will work in our own country to contribute to the development of beautiful Burma instead of contributing to the development of other countries.